Last edit: 9 months 2 weeks ago by mackem. Last edit: 9 months 1 week ago by mackem. Good luck for Round 18! HT/FT Landers/Saders @ 11/2, for a bit of cover, but also think Saders could be a little rusty after international break and last week off. Haha cutting it fine there RR! Landers losing by exactly the same score as last weekend against the Chiefs...crazy. Last edit: 9 months 1 week ago by Zambusta. Thank you, this Reds game brought about my worst run in betting that I can remember, seven losing handicap bets in a row!! Absolutely never, ever worry about the stuff you cannot control!! I took a break for a couple of weeks started giving backs season profits so needed to mentally reset. Canes have been very flat and 12.5 points seems way out of wack. It has been awhile since the blues have beaten a NZ team and this could be their chance. Canes have not looked good since they played the Blues in Auckland and have lost 3 on the trot. Bounce of the ball goes the other way and they could be 0-5 here. I think teams have really worked out how to shut down their smaller pack which has not let that back-line flourish. I've taken a little more risk here with Blues + 7.5 and also Blues straight up @ $4.50. In the Chiefs game I'm taking them to win and over 54.5 points. I like Rasta Rasivhenge as a Ref and normally he lets the game flow hence high scoring. Not totally confident but would expect the Chiefs to beat the Margin cap of 14.5 as well so will place a smaller bet on this as well. Took Canes -11 earlier in the week. However a bit nervous now with the rain about. Got ambushed first bet of the day and took under 51.5 , conditions as they say are perfect . Every weather site predicted rain. Must feel like Christmas for Hurricanes minus backers. Hopeless Blues - what else was I expecting?? The R1000 free bet that I won with GGGaming I've put on the Bulls-2.5. So far it's been an up and down day. Won quite a bit of money this morning in the Chiefs game only to lose it all again in the Hurricanes game. Bulls Jags over 55.5 pts. added high Papier try min @ 4, just way more upside on this line. Stormers to lead at halftime. 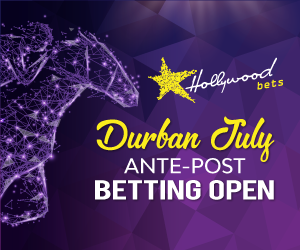 A poor day on the Durban July rescued by a good result on bulls game, spreads buy a rare very decent sized win. Didn’t have a bet but massively disappointed with Sharks, completely blew it and back to the drawing board once again. Thanks Brent! It's been a good last couple of weekends. Gents, probably Bradie and South knows best but I’m looking for a bookie in Europe. Specifically one that offers a variety of long term odds on the French Top 14. I am looking for a bookie where I can place some bets on say a team to reach the final two, semi finals, and play-offs. Seems that the likes of WSB only offers odds on the outright winners.